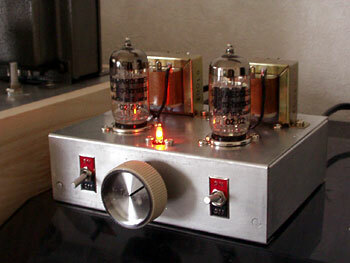 One of my hobbies i recently began is buiding tube amplifier. Here are some amps i built. This is a small practice amp for my home in Sweden. 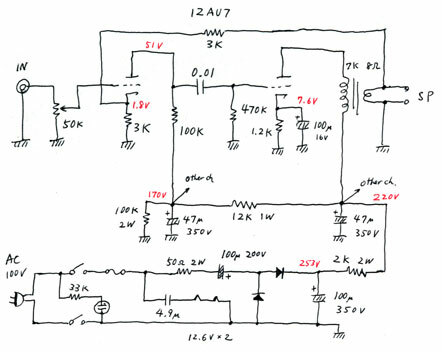 My design polycy of building amplifier is little weird, I first choose the personnel of tube names regardless of circuit. I insist the set of tube names that should sound nice to me. And I like this 6AQ5-6AQ5. 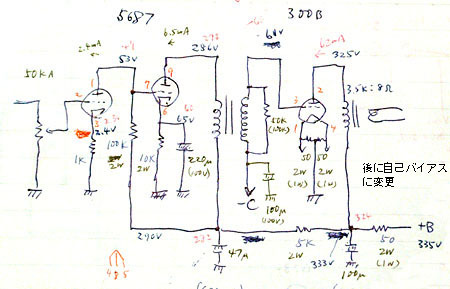 You know, 6AQ5 is a miniature power tube which is equivalent to 6V6GT. 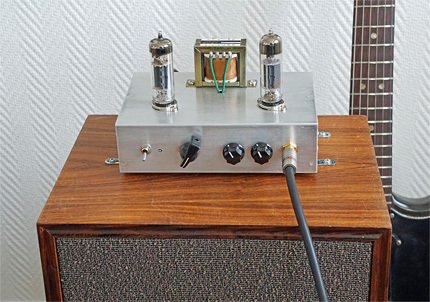 I use this power tube at pre-amp section, so it's unusual. Although the noise level is relatively high because of the pentode used as pre-tube, the amp sounds really nice. Now, I work and live in a small town of Sweden (Visby). This is an amp i built in japan and put it in a suitcase. It has no power and heater transformer in order to reduce its weight. I use two 50BM8 with one-knob tone and a master volume to produce both clean and crunch all the way to heavy distortion so called "Woman tone". Because it uses tarnsformer-less circuit, actually it's dangerous because one of the two AC power line is directly connected to the chassis! It could shock you. But in here, I use another transformer to convert 230V to 100V, so it's no problem. 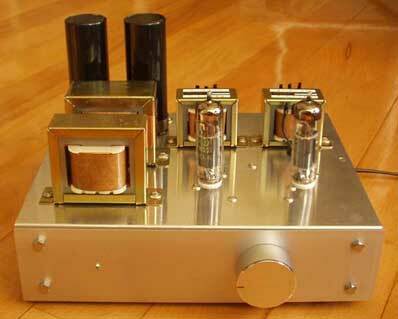 This is a very luxury amp that i made for my friend "Mr. K". He's a rich guy and ordered me this regardless of expense. So i used famous 300B as power tube and interstage trasformers with great apperrance. It also has CR-type equalizing pre-amp for vynil record play. 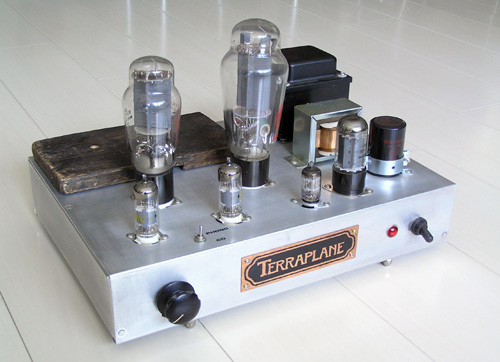 2A3 single ended stereo amp for a blues bar "Terraplane"
This is the amp that i presented to the blues bar "Terraplane" in Shibuya. I know the owner very much and have been a long time customer. I gathered available componetns in my junk box to make this, however this amp sounds awesome. This is my first custom-made amp. My friend asked me to build the one. Although he already has a high power solid-state amp (240W !) 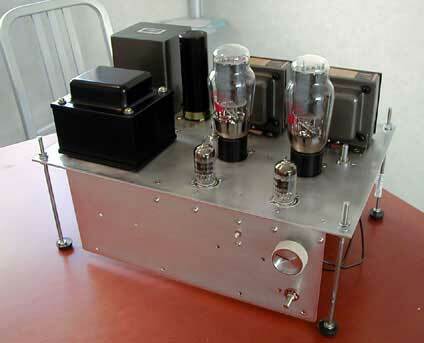 that he uses as main audio equipment, he said he wanted to have a more rough & wild tube amp. I designed and assembled this for him. 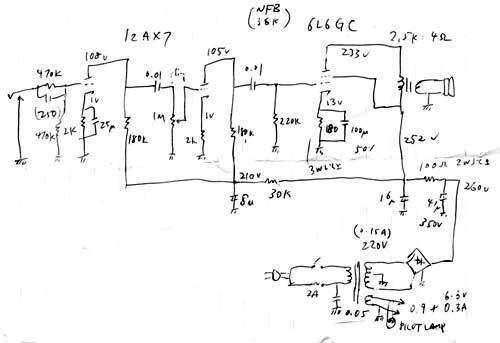 I use 4 cheap 50bm8s in a push-pull circuit and obtain 8W+8W output power. I designed & bult this for my bed room listening music quietly at night. 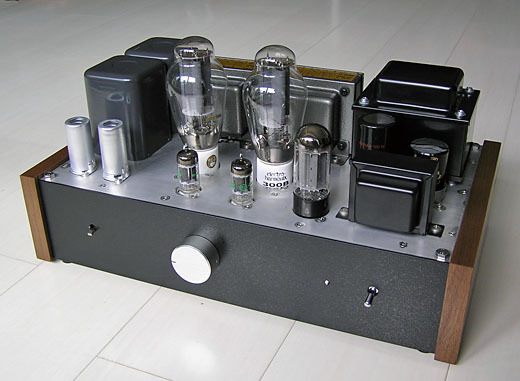 I use 12AU7 as a power tube that normally used as a driver tube. 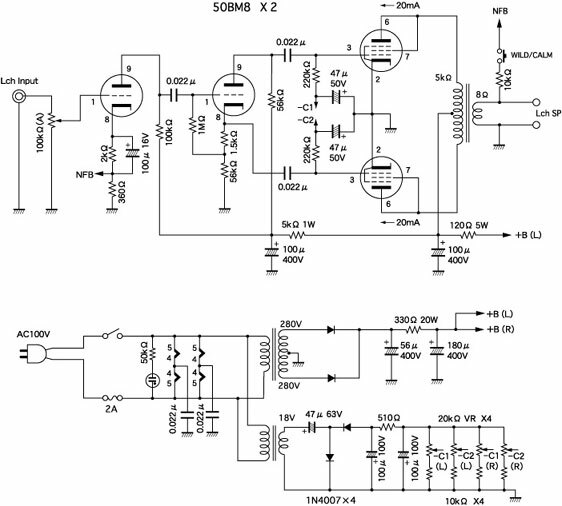 Output power is only about 0.2W but it's loud enough for the use in the bed room. 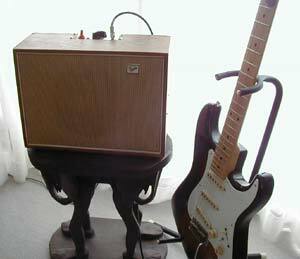 I built this small guitar amp after a Fender Champ. It's loud enough for using in a very small night club. Usually i plugg in my Stratocaster to this amp and practice at home. 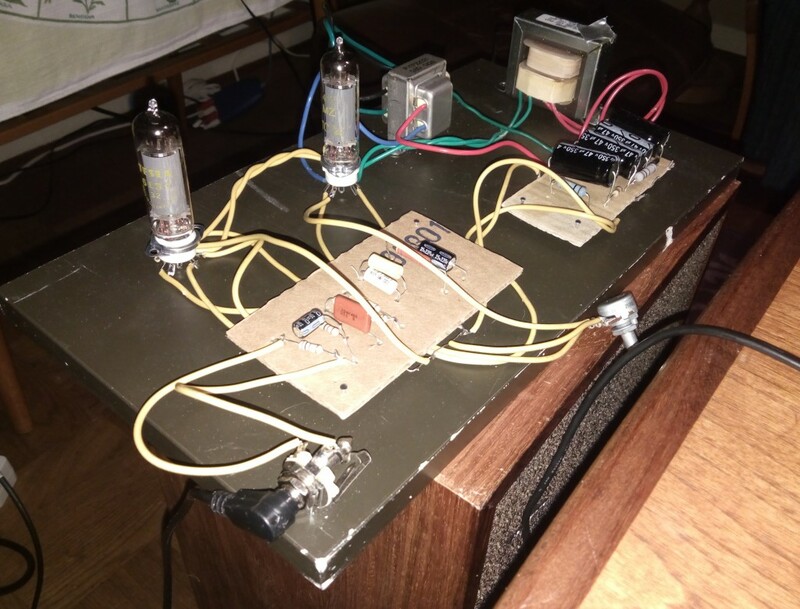 This is the very first amp that i built about 2 years ago. 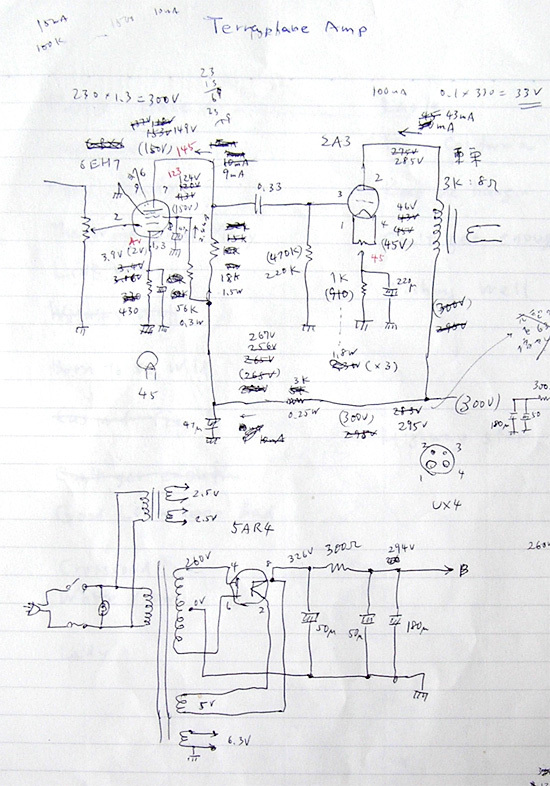 I took the schematic from an internet site. 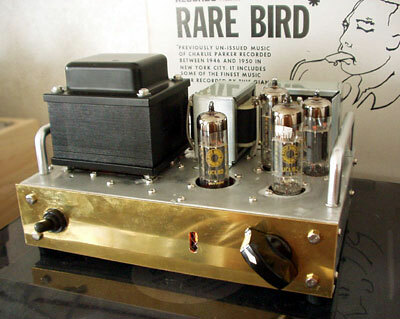 STC (super triode connection) is a very unique way of using triode & pentode in a special connection between two. This sounds very good and has been working as a main amp of my audio equipment in my home for more than a year. Recently the 2A3 amp took over this one. Fazz, tube equalizer amp for vinyl, CD player, head amp,..